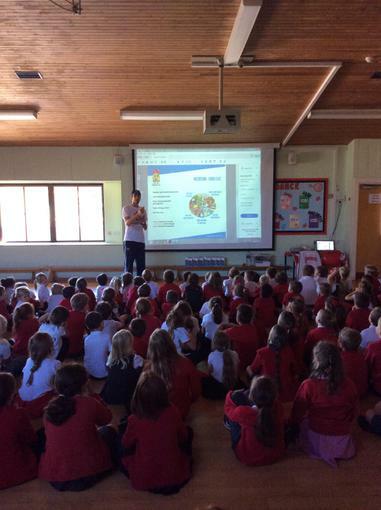 Robert Mitchell, Team GB High Jumper, was brilliant with our children today and they were superb for him. Lots of energetic exercise, big smiles and very thoughtful questions in the assembly. Well done to all!